Whether you’re a newbie to camping in France or its sunny southern regions are your go-to holiday destination year after year, Argelès sur Mer is undeniably a sublime choice for a retreat. It’s situated on the balmy Mediterranean coast and in the shadow of the Pyrénées, making it ideal for lovers of the great outdoors. 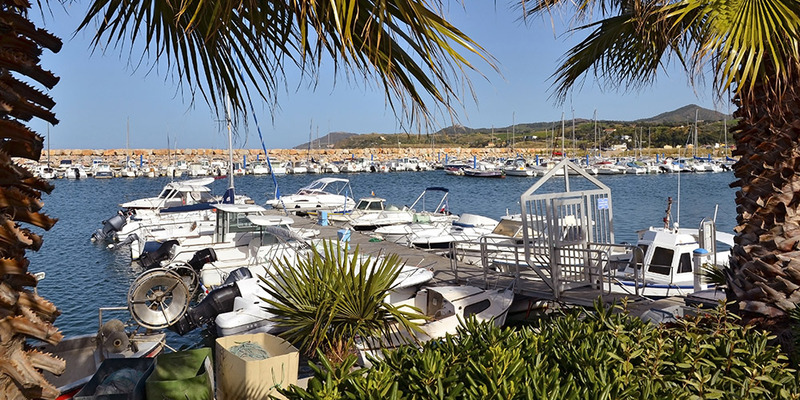 If bedding down near this gorgeous French seaside town sounds like your idea of heaven, you’ll find a handful of amazing campsites near Argelès sur Mer with wonderful positions and a whole host of on-site attractions. Enjoy dramatic views of both the ocean and the peaks of the Albères from Camping Roussillonnais or stay at the quieter end of the town’s beach at the popular Camping Soleil. 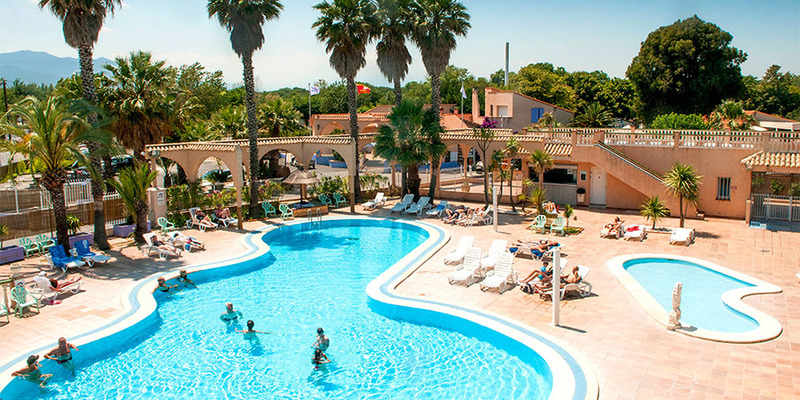 Nearby Camping Sirène is a good choice for families thanks to its spectacular pool complex - complete with palm-fringed island - and extensive activity club that’s made it one of the top campsites for sporty holidays in Europe. 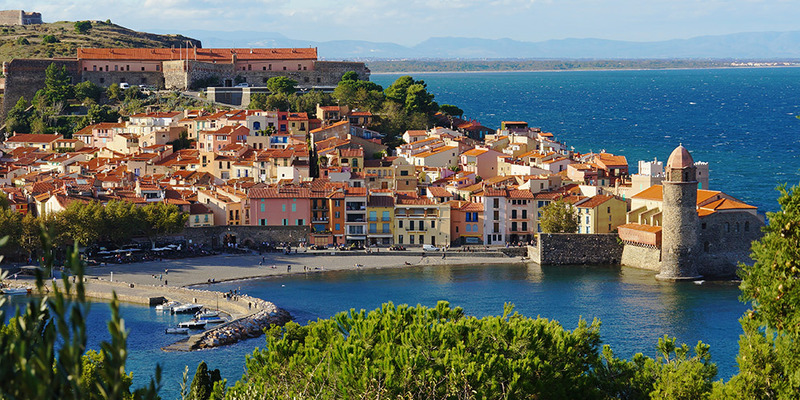 The seaside town of Argelès sur Mer is found in the heart of the Languedoc-Roussillon region on France’s famed south coast. Its location on the border of Catalonia means it has a unique culture that extends not just to its landscapes but its many attractions, too. The main draw to Argelès sur Mer has to be its long stretch of golden beach that’s less crowded than many other sandy spots along the coast. The town also sits in the shadow of the Albères mountains and is just an hour away from the heart of the impressive Pyrénées. With its gorgeous climate and close proximity to Spain, camping in Argelès sur Mer is the perfect option for a relaxing holiday in the sun. While the town itself boasts cultural attractions like the Catalan-style Old Town and bustling promenade, you’ll find further historic relics - like the ancient château in Coullioure - just down the coast. For those who enjoy getting in touch with nature, there are endless mountain regions within a short distance of Argelès sur Mer as well as the Mas Larrieu Natural Reserve, that’s home to many species of birds and other local wildlife. Argelès sur Mer is additionally very kid-friendly as it’s near a handful of fun attractions, including Aqualand Saint Cyprien and Fantassia, an enchanting fairy themed park. Plus, if you fancy exploring two countries instead of just one, you can hop over the border to Catalonia with ease.